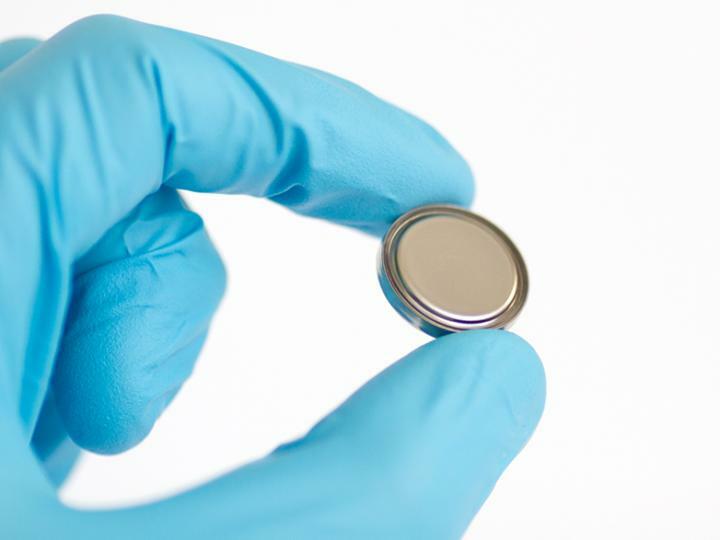 Scientists from ETH Zurich and Empa – led by Maksym Kovalenko, Professor of Functional Inorganic Materials – are among those involved in researching and developing batteries of this kind. The researchers have now identified two new materials that could bring about key advances in the development of aluminium batteries. The first is a corrosion-resistant material for the conductive parts of the battery; the second is a novel material for the battery's positive pole that can be adapted to a wide range of technical requirements. As the electrolyte fluid in aluminium batteries is extremely aggressive and corrodes stainless steel, and even gold and platinum, scientists are searching for corrosion-resistant materials for the conductive parts of these batteries. Kovalenko and his colleagues have found what they are looking for in titanium nitride, a ceramic material that exhibits sufficiently high conductivity. "This compound is made up of the highly abundant elements titanium and nitrogen, and it's easy to manufacture," explains Kovalenko. The scientists have successfully made aluminium batteries with conductive parts made of titanium nitride in the laboratory. The material can easily be produced in the form of thin films, also as a coating over other materials such as polymer foils. Kovalenko believes it would also be possible to manufacture the conductors from a conventional metal and coat them with titanium nitride, or even to print conductive titanium nitride tracks on to plastic. "The potential applications of titanium nitride are not limited to aluminium batteries. The material could also be used in other types of batteries; for example, in those based on magnesium or sodium, or in high-voltage lithium-ion batteries," says Kovalenko. The second new material can be used for the positive electrode (pole) of aluminium batteries. Whereas the negative electrode in these batteries is made of aluminium, the positive electrode is usually made of graphite. Now, Kovalenko and his team have found a new material that rivals graphite in terms of the amount of energy a battery is able to store. The material in question is polypyrene, a hydrocarbon with a chain-like (polymeric) molecular structure. In experiments, samples of the material – particularly those in which the molecular chains congregate in a disorderly manner – proved to be ideal. "A lot of space remains between the molecular chains. This allows the relatively large ions of the electrolyte fluid to penetrate and charge the electrode material easily," Kovalenko explains. One of the advantages of electrodes containing polypyrene is that scientists are able to influence their properties, such as the porosity. The material can therefore be adapted perfectly to the specific application. "In contrast, the graphite used at present is a mineral. From a chemical engineering perspective, it cannot be modified," says Kovalenko. As both titanium nitride and polypyrene are flexible materials, the researchers believe they are suitable for use in "pouch cells" (batteries enclosed in a flexible film). An increasing amount of electricity is generated from solar and wind energy. However, as electricity is needed even when the sun is not shining and the wind is not blowing, new technologies will be needed, such as new types of batteries, to store this electricity in a cost-effective manner. Although existing lithium-ion batteries are ideal for electromobility due to their low weight, they are also quite expensive and therefore unsuitable for economical large-scale, stationary power storage.